Multi Business Solutions Simplifying numbers. Streamlining processes. Strengthening businesses. We are your local QuickBooks experts and are equipped to meet your accounting, human resources, and business consulting needs. We enable small and midsize businesses to focus on their core capabilities by reducing the stress that comes from personnel and bookkeeping responsibilities. Multi Business Solutions is based in Fergus Falls, Minnesota and Watertown, South Dakota and serves clients throughout the Midwest and beyond. Our services are customized to fit your business needs. At Multi Business Solutions, we know first hand the challenges that small and midsize businesses face. 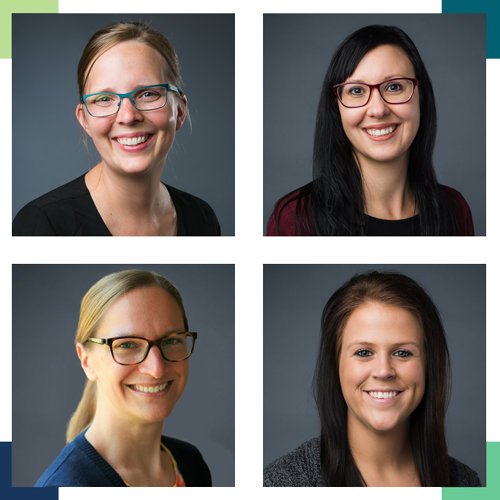 Meet the team that helps you with all your Accounting, QuickBooks, HR, and Business Consulting needs. "I have been working with Megan for 9 years and I have found her to be consistently dependable, honest, and hardworking. She was invaluable to me when I started franchising my restaurant and I recommend her services to all our franchisees." "[ . . . ] Partnering with Multi-Business-Solutions has allowed us to focus on our core competencies, which are not bookkeeping and human resources. They’ve taken a complicated flow of finances and made it easier to understand and to make decisions from..."
We understand the passion and commitment that you have to making your business a success, but unless your business is Accounting or Human Resources, you probably aren’t passionate about these things. So let our passion and experience benefit your business and help you succeed.